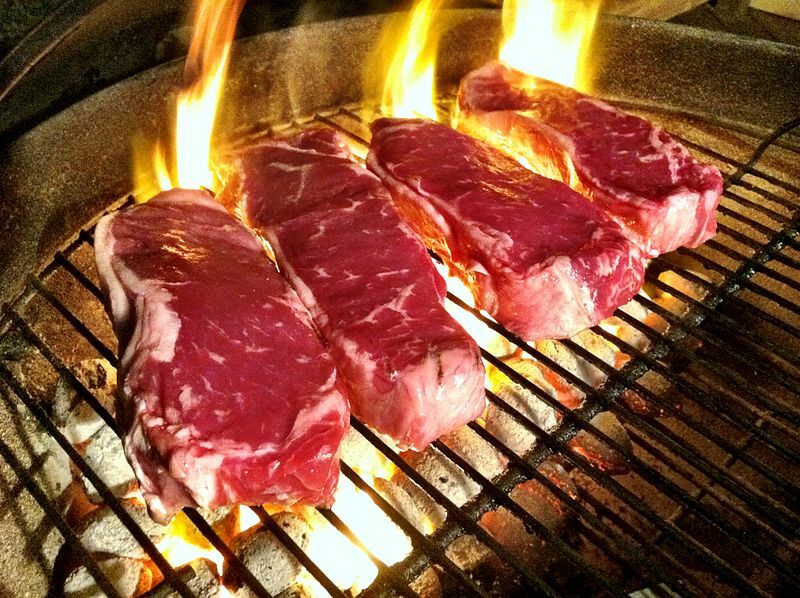 I have tried for years to cut down my reliance on protein from red meat. Nuts and seeds are often suggested as an alternative source that I have used. So, I was glad to run across this item. Q. 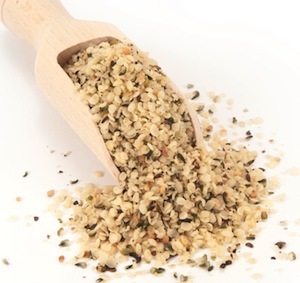 Are flaxseed crackers nutritious, and can they help lower cholesterol? Is the question asked by the Tufts Health and Nutrition Letter. No matter how you answered the first two questions, here are some super ways to improve your protein intake. There’s no rule that breakfast has to consist of food specifically designated for that meal. In fact, last night’s leftovers may be perfect. That’s because most people consume about 50 to 60 percent of their total daily protein at dinner, and shifting those calories to the morning may have health benefits. Aim to consume 20 percent to 25 percent of your total daily calories at breakfast (up to 400 calories for women, up to 500 for men, and a bit more for vigorous exercisers). Research shows that it increases levels of the satiety hormone PYY, helping you to feel full, and may reduce the number of calories you consume at lunch, according to Heather Leidy, Ph.D., an assistant professor in the department of nutrition and exercise physiology at the University of Missouri, Columbia. It may also help you avoid overeating later in the day, which may lead to weight gain. 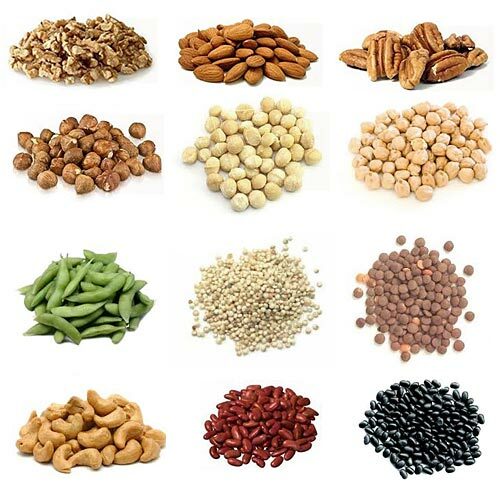 Here is another arrow in our quiver of healthy nuts and seeds. Peanuts are salty and delicious pleasure. Ideal for appetizers while watching a sports game or a great substitute for potato chips while watching a movie. Besides being delicious, it can be very healthy. For stable blood sugar throughout the day, eat peanut butter. It is recommended this product to eat for breakfast. Thanks to vitamin B3 that contain peanuts, helps the brain to function normally and increases concentration and ability to remember. 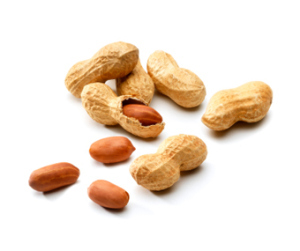 Although the belong in the category of products that contain high amounts of calories and fat, recent studies have shown that peanuts can act preventively heart disease and lower cholesterol and triglycerides without weight gain. Let’s start with the word – breakfast. You are breaking your fast after shutting your body down in sleep all night. So, your body is ready to be nourished and made whole again. There is a need for fuel. 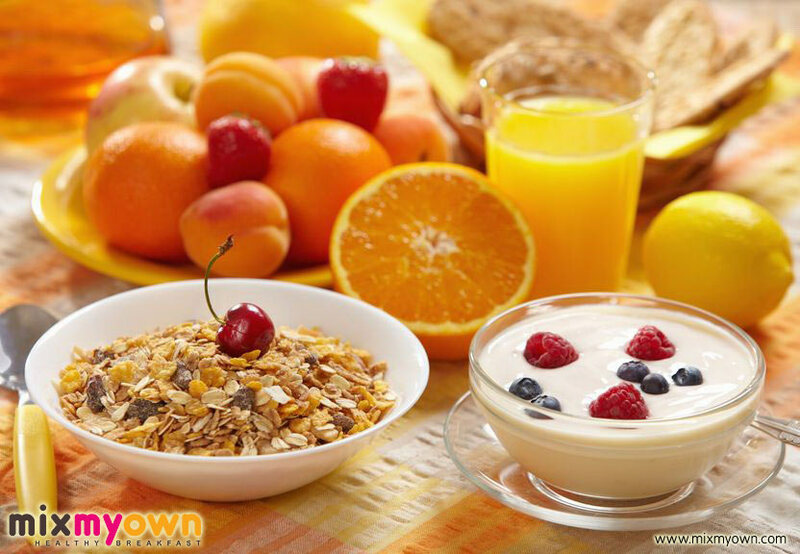 Skipping breakfast robs your body of basic needs and puts it on the defensive right from the start. Why handicap yourself like that? As everyone who has skipped or skimped on breakfast knows, you get hungry long before lunch time rolls around. That often means you end up snacking on convenient junk foods high in fat and sugars. You can read my Love Letter to Hostess Ho Ho’s NOT for all the reasons to avoid junk food. I recommend including some protein in your breakfast to extend the benefits. “Protein blunts your hunger the most, and is the most satiating,” Purdue University researcher Wayne Campbell, PhD, tells WebMD. Eggs are a natural, low in calories and high in vitamins, minerals and protein. So, do yourself and your body a favor and make time for a good breakfast, you will reap rewards from it all day long. Is There a Risk to High Protein Diets? When this blog started it was very much a weight loss commentary. That was six years ago. I hope by now the concept has expanded to the point where – healthy eating is healthy aging. In other words we are able to maintain our weight be eating intelligently and working out regularly. There are no fad diets here. 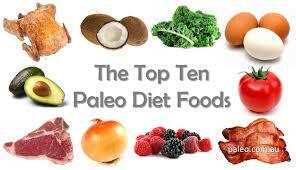 No low carb, high carb, low protein, no fat, etc. Eat balanced meals and exercise and you will be fine. For those reasons, I was struck by a piece inthe Wall Street Journal in the Personal Journal section entitled The Risk of High-Protein Diets. By my reckoning the risk of any of diets like this is that they work over the short run, but don’t provide lasting health gains, they often result in damages to the body of the person depriving himself of sufficient amounts of a vital nutrient and lastly, the person just quits doing the diet and gains back the pounds. As a senior citizen interested in living longer, I want to know about subjects like “Optimal protein intake for older adults” which was the name a panel cited in the Journal piece. “In the human study, those consuming high levels of plant-based protein had a threefold increase in cancer mortality but no higher rate of overall mortality. Consumers of animal protein had big increases in both. That suggests, as other research has shown, that there may be benefits from minimizing consumption of animal-based protein. “These results indicate that respondents ages 50 to 65 consuming moderate to high levels of animal protein display a major increase in the risks for overall and cancer mortality,” the researchers concluded. “For subjects 66 and older, the opposite proved true: Higher protein consumption was associated with greater survival. Gerontologists say this makes sense, because the ability to absorb protein appears to diminish in the aging body, requiring perhaps greater consumption. My takeaway from this as a senior is that I want to consume more plant protein than animal and spread my consumption over three meals rather than rely on a big dinner. I understand that because I am over 65, I have to consume slightly more protein because my aging body doesn’t digest it as well. But how much protein one should eat has long been a controversial topic — muddled by the popularity of protein-heavy diets such as Paleo and Atkins. Before this study, researchers had never shown a definitive correlation between high-protein consumption and mortality risk. “There’s a misconception that because we all eat, understanding nutrition is simple. But the question is not whether a certain diet allows you to do well for three days, but can it help you survive to be 100?” said corresponding author Valter Longo, Edna M. Jones Professor of Biogerontology at the USC Davis School of Gerontology and director of the USC Longevity Institute.